One year, success. The next, disappointment. That's the way it goes for me and Easter eggs. This year, my obsession started early. I'm blaming Pinterest. 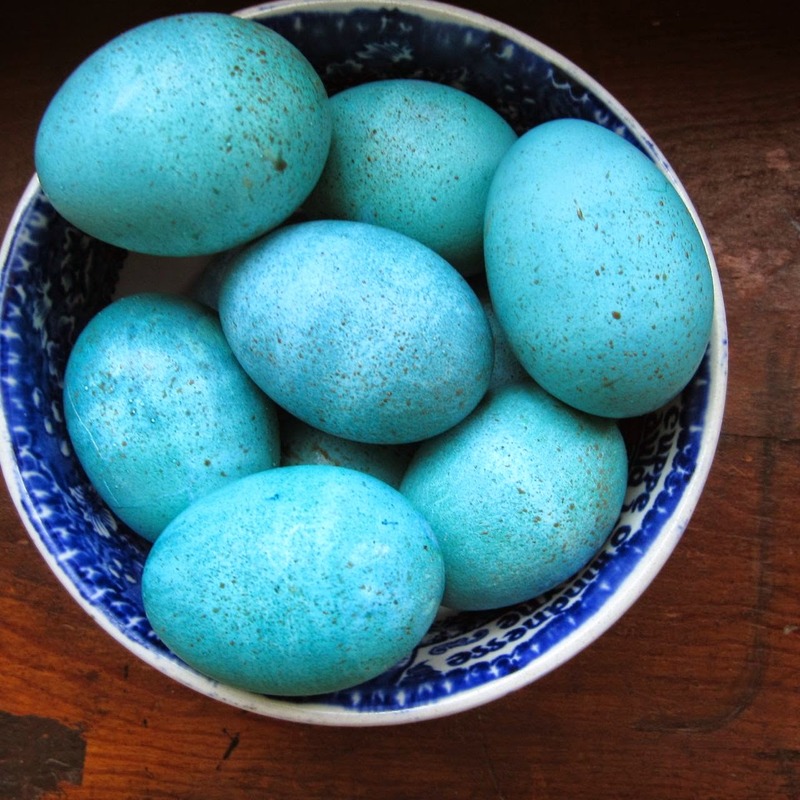 I decided that since all our chicks are out of the nest this week, either at school or out of town, I would go ahead and dye some eggs what I felt sure would be a fabulous robin's egg blue. Big, Middle, and Little will all be home to celebrate Easter, and I hope we'll decorate eggs out on the deck, weather permitting. 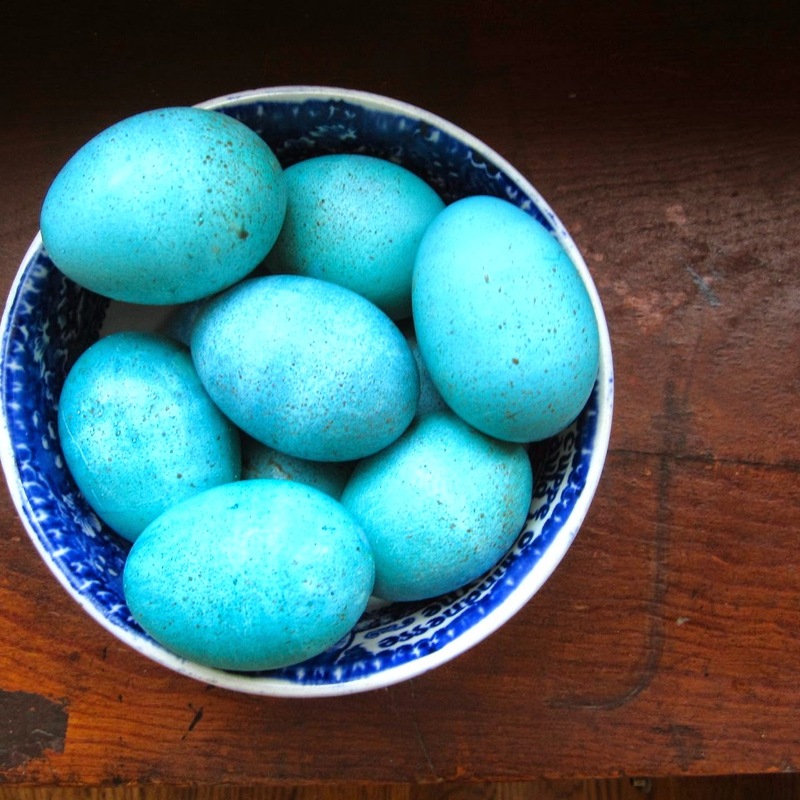 Nevertheless, I still wanted some robin's egg blue eggs to decorate our Easter table. 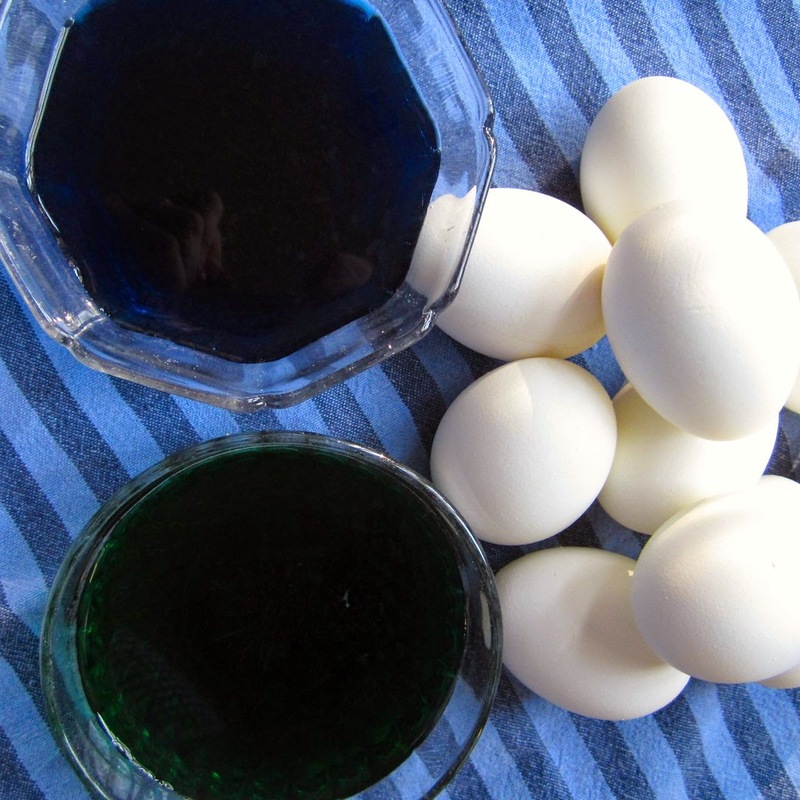 So, I pulled out my PAS egg-dying kit, which I bought after Easter last year for 17 cents. I dropped in the green and blue tablets, poured in the white vinegar, and waited. 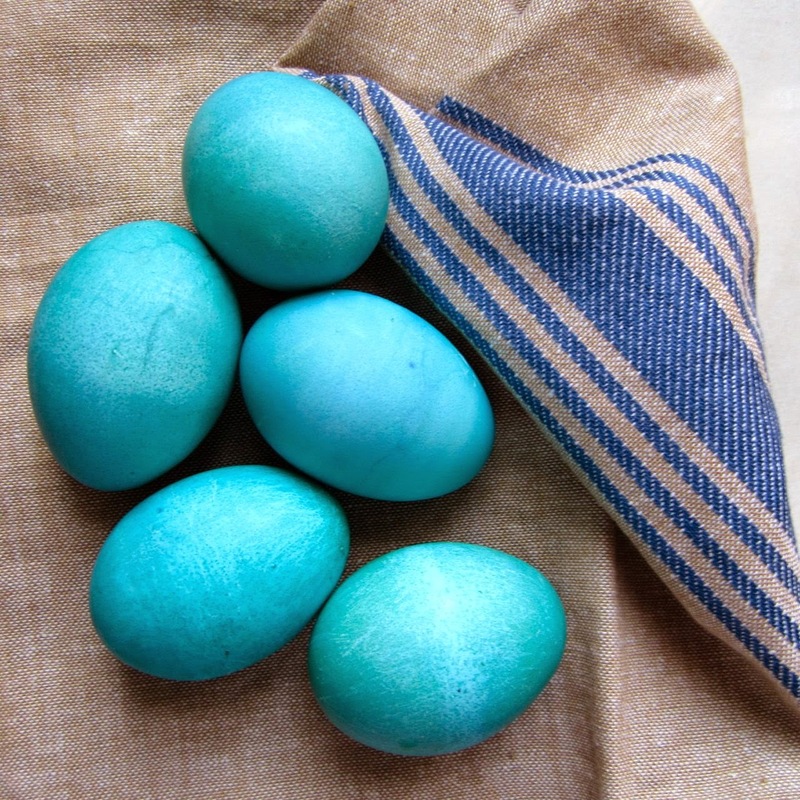 Nowadays, all kinds of fancy egg-dying techniques and kits are available, but I like that the basic process still includes the prickly smell of vinegar and the effervescent sound of fizzing. 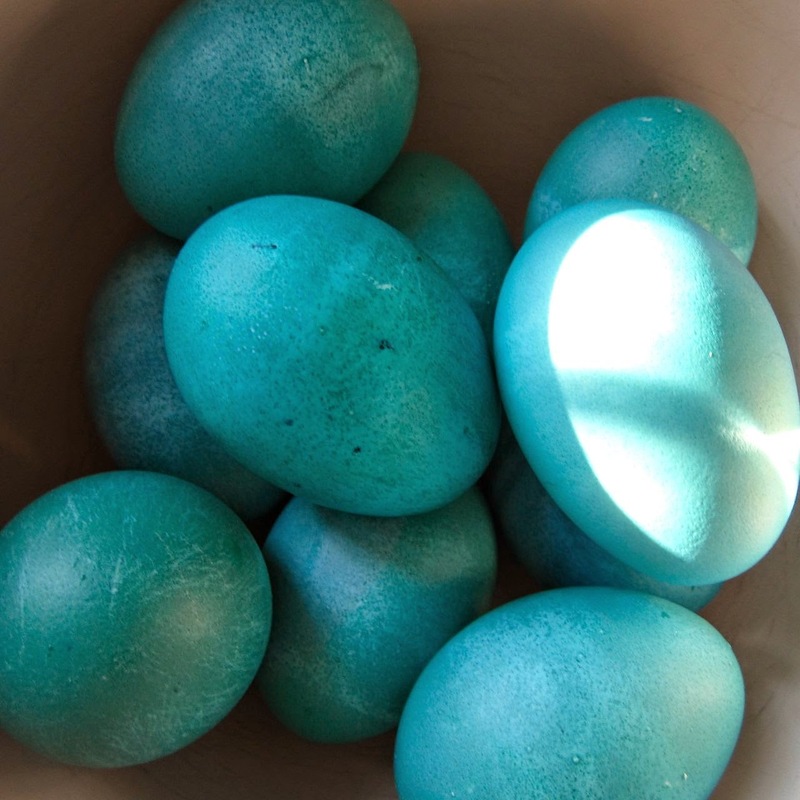 Into the blue, into the green, back into the blue and so on until each egg was a slightly different color than the others. The dye didn't adhere in a super smooth Pinterest-worthy way. Rats. Maybe if I'd washed them after boiling them? 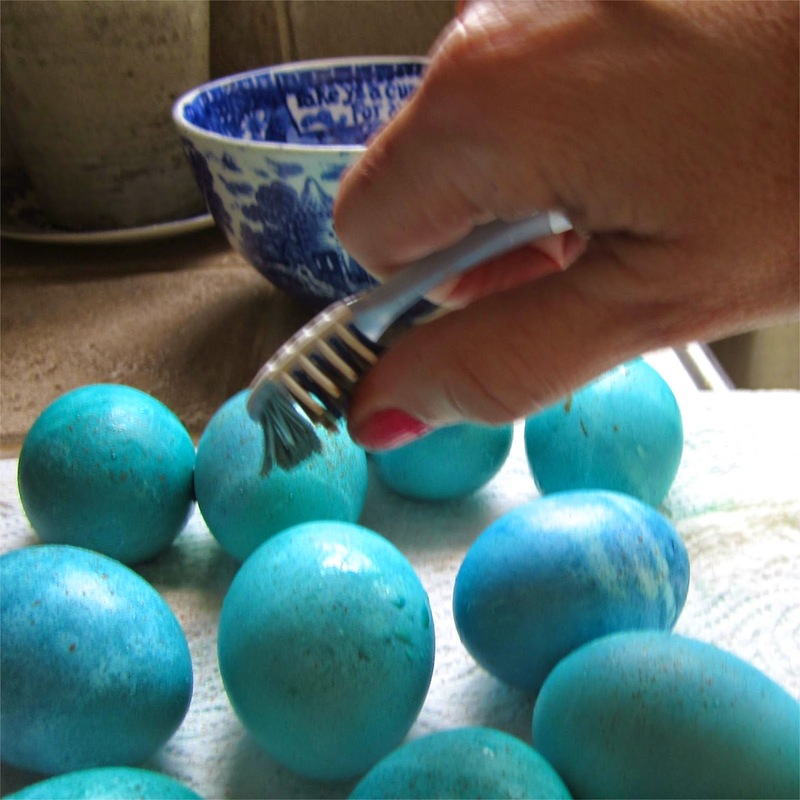 To complete my project, I planned to splatter the eggs with tiny speckles. I thought I could use coffee to do this. I thought wrong. 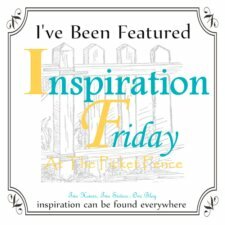 I scrounged around and found a tiny bit of brown watercolor paint in the "art drawer," and began spraying and splattering with an old toothbrush. When the tiny specks had dried, I turned the eggs over and repeated the process. Then, quick as a bunny (something I used to say to our children all the time, as in "Run get your shoes, quick as a bunny"), I placed them in this old bowl and ran around the house, trying to determine the brightest spot to take a picture on this dreary day. I think they turned out pretty well; they're not as fabulous as some I've seen, but they're kind of sweet. 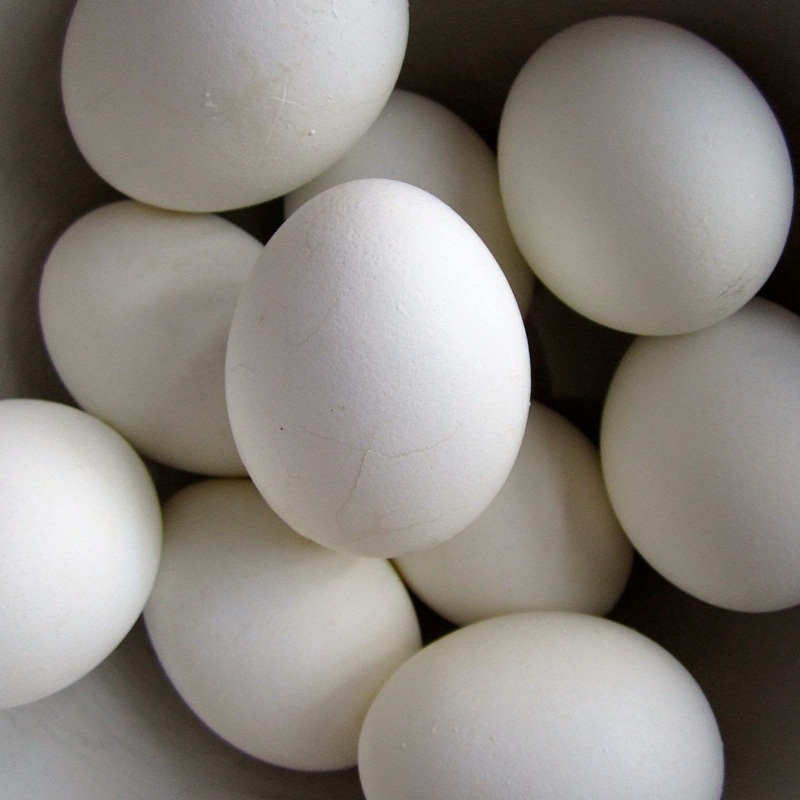 I'm not exactly sure how I'll use them on our Easter table, but I'll keep you posted. Thanks, Lisa! Hope you have a great weekend!